The ancient city of Ile-Ife is bustling with numerous activities, as the annual Olojo festival takes on a life of its own. Each year, people gather to celebrate the rich and dynamic Yoruba culture of Ile-Ife and its origins. MTN Nigeria has joined a host of organizations to sponsor the popular Yoruba festival. This is one of the many festivals that the ICT company is supporting – to help promote the vibrant and intriguing Nigerian culture. 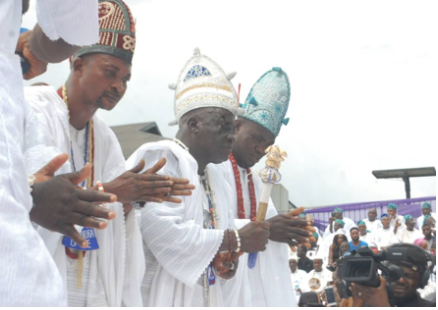 Friday, 28th September 2018, was the ‘Aare’ day as the king wore the ancient Aare crown to all the major areas in Ile-Ife. This crown which the Ooni wears once a year, is the oldest in the Yoruba land. All present are to pray fervently before the king moves in with his traditional soldiers (lokoloko). These soldiers waved soaked canes to scare the crowd and pave way for the king. As custom demands, Yoruba history was richly represented. One of the most compelling sights was seeing one of the performers swallow razor blades and spew them out with no injuries! After that it was spectacle after spectacle all laced with thought-provoking culture. 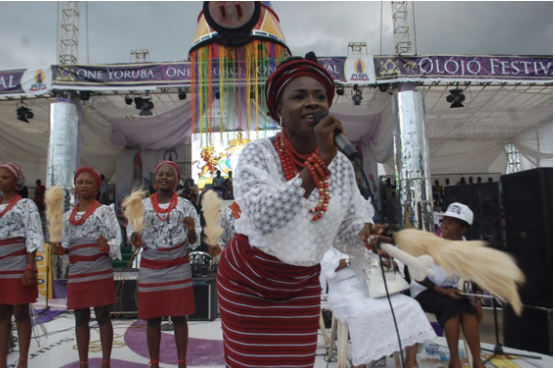 The “Olosun” placed a white branded pot in the middle of the stage on which 3 people sat and yet it did not break. We watched water being poured into a basket, yet, not a single drop spilled or dropped out of the basket. There were rainmakers too, who seemed to control the rain! These men were chanting inaudibly and all of a sudden, the dark skies began clearing up. What a day to be in Ile Ife? !